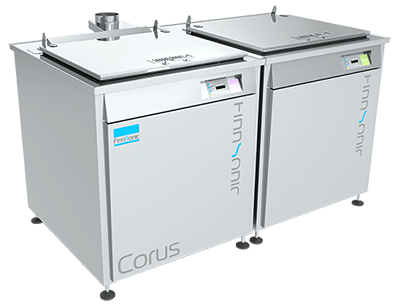 Lapping machines ranging from 380mm (15") to over 3.0m (120"). Custom built Lapping machines are available to meet your needs. Lapping machine spares, consumables and a huge selection of Lapping plates made from our special composite material. Quality Lapping service with quick turnaround and attractive prices. Contract Lapping test facilities, conducting tests on any material to recommend a suitable process. 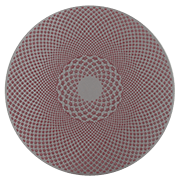 Complete Metallographic program covering Cutting Machines, Mounting Machines, Grinding Machines, Polishing Machines and Image Analysis, Complete range of Metallographic consumables, Hardness Testers and Microscopes. 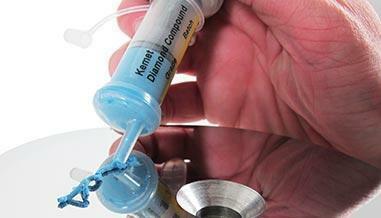 Over 10,000 polishing accessories for polishing engineering parts, moulds and dies etc. 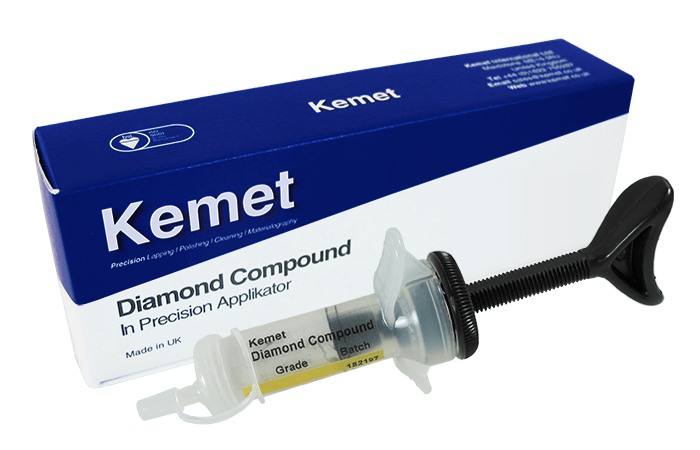 Kemet Diamond Compounds. Exclusive UK distributor of Gesswein abrasive stones, Diprofil, Nakanishi / NSK Power Hand Tool systems. 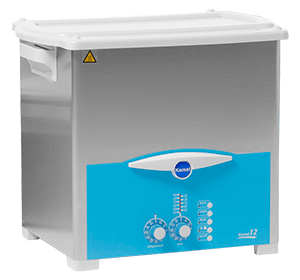 Bench top ultrasonic cleaners up to 30 Litres, floor standing industrial ultrasonic cleaners from 40 to 160 Litres and custom built Industrial ultrasonic cleaners. Hot Air Dryers, Rinse Tanks, Platforms and Automation also available. We offer a complete range of instruments for Geological / Petrographic sample preparation, starting with a piece of rock and finishing at 20 microns. 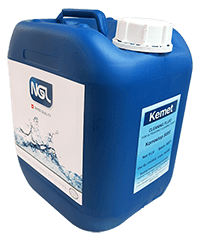 Established in 1938, Kemet International Limited is at the forefront of precision lapping and polishing technology, using Diamond Compound and Diamond Slurry, which are manufactured in house to ISO 9001:2015 quality standards. 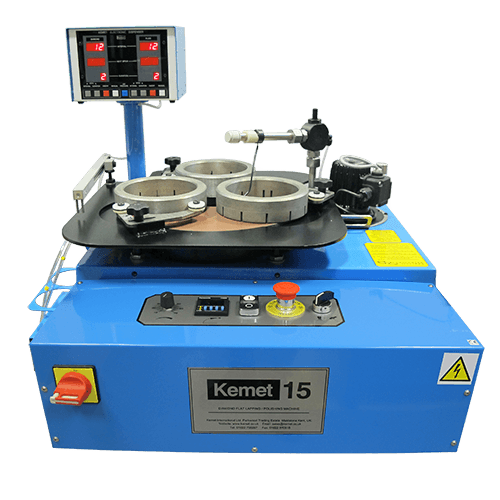 Kemet International's Contract Lapping Department has the capability to provide solutions to most Precision Lapping and Polishing applications. Introducing the new KemSonic Mono ultrasonic grinder/polisher with a touch screen that enables easy and convenient control. 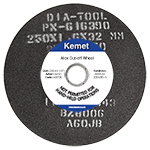 Technical support programme as part of the Kemet package. We regularly assist customers by developing new products and processes, utilising the very latest in precision flat lapping technology. Customers' samples are evaluated, free-of-charge.